Querciabella Chianti Classico is the purest expression of the Sangiovese fruit; carefully blended from the three best sub-zones of the region. The future of Chianti Classico. Speaks with a clear Chianti voice. Querciabella makes a consistently beautiful Chianti Classico. 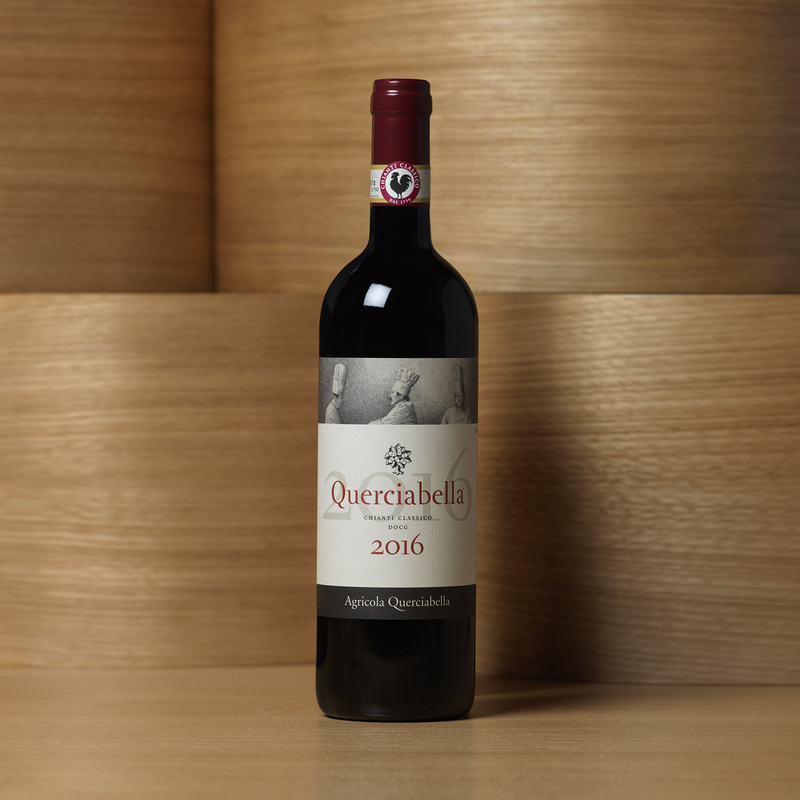 The centerpiece of Querciabella’s winemaking operations since the winery’s debut, Querciabella Chianti Classico has consistently ranked at the highest levels of critical acclaim while delighting wine enthusiasts the world over. 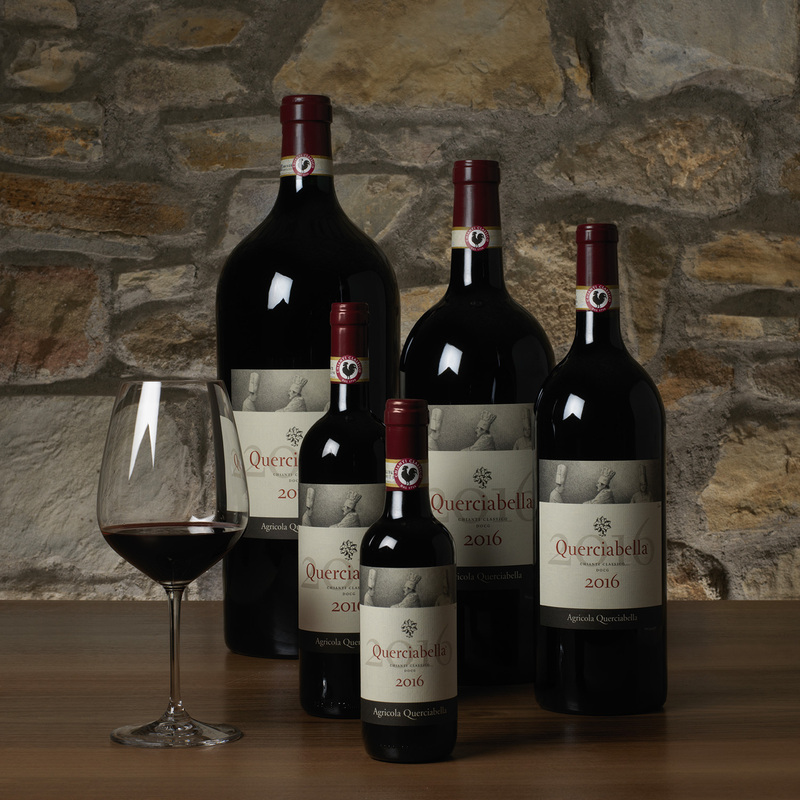 Querciabella’s Chianti Classico represents the pinnacle of high-altitude, perfectly exposed Sangiovese fruit. A beautiful balancing act of crisp, inviting acidity, pure varietal fruit flavour and character deriving from sourcing the grapes from top sites in three of the the denomination’s best sub-zones. A wine and food lovers’ delight. Grapes are carefully selected in the vineyards, and harvested by hand into 8 kilo crates. They are destemmed, never crushed, then conveyed into temperature-controlled stainless steel vats, where alcoholic fermentation and maceration take place. Maceration lasts about 12 days. After completing full malolactic fermentation, the wine is transferred into barriques and tonneaux. The oak is 100% French (5% new; remainder consists of second and third-fill barrels). The wine is regularly racked and tasted during the entire maturation period, which may last up to 14 months. Our Chianti Classico is made from 100% Sangiovese fruit harvested from across inland Tuscany, including those from the communes of Greve, Gaiole, and Radda. 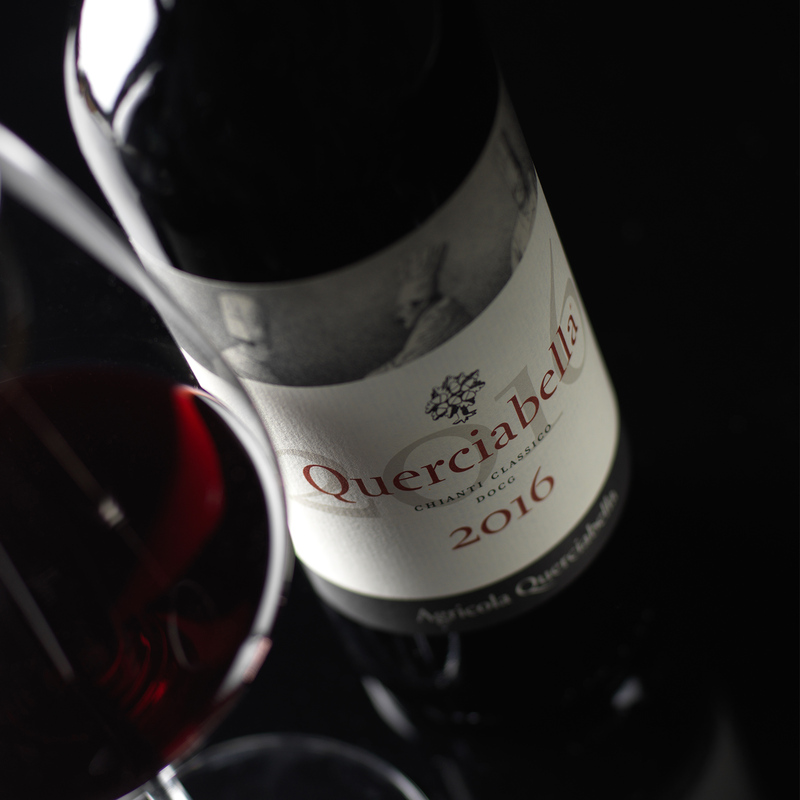 Querciabella is best enjoyed alongside the flavours of tomato and olive oil, surrounded by those you love. Querciabella, in Italian, means “beautiful oak” and our vineyards in Ruffoli and Radda are surrounded by them. 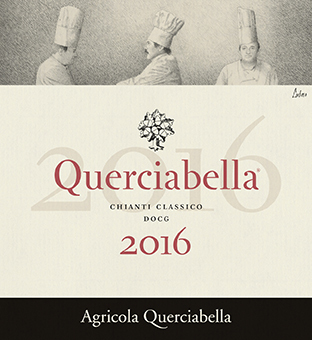 The image is created by Italian painter Bernardino Luino, created exclusively for Querciabella. The label was designed by Sebastiano Cossia Castiglioni.